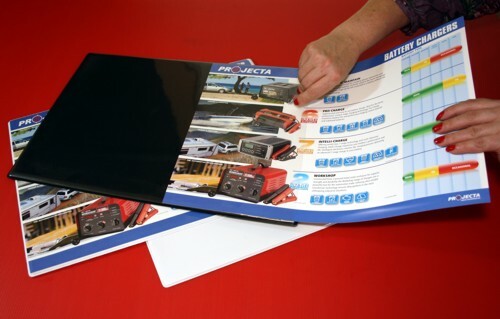 Also available in fully Encapsulated Printed Insert (waterproof option). Designed for POS (point of sale) situations, the FlexiMat provides an excellent opportunity to reach your customers right at the checkout. 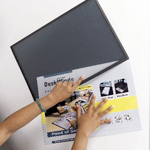 This ultra-thin poster display lies snug on the counter surface to clearly display your promotion, and the graphics can be updated in just seconds. 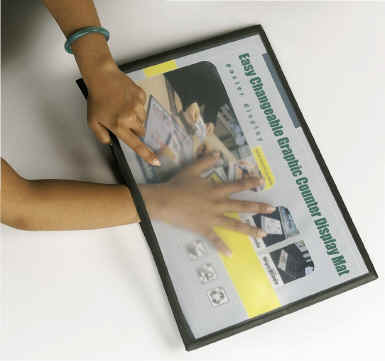 The FlexiMat can be used in most retail situations including post offices, sales kiosks or fast food restaurants to display pricing, promotions, etc. © Copyright 2014 ABC2000. All Rights Reserved.